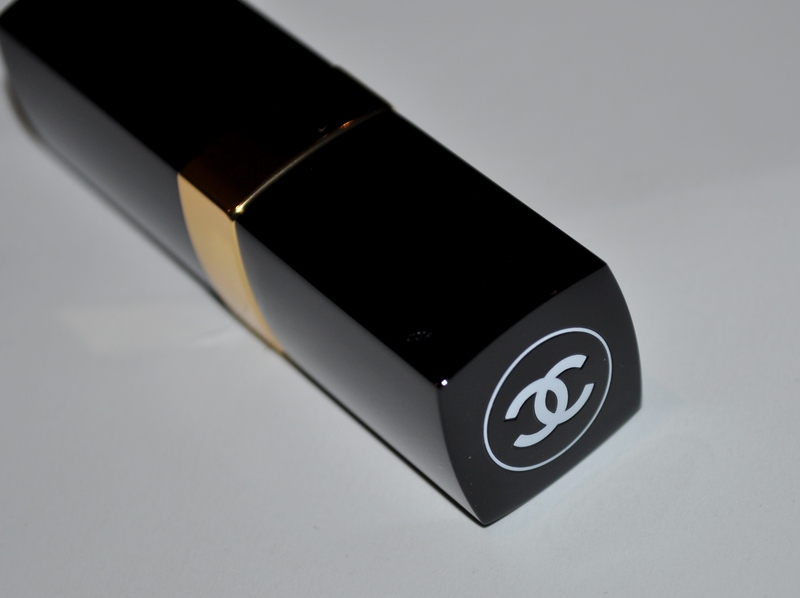 I have an intense love for Chanel lip products. 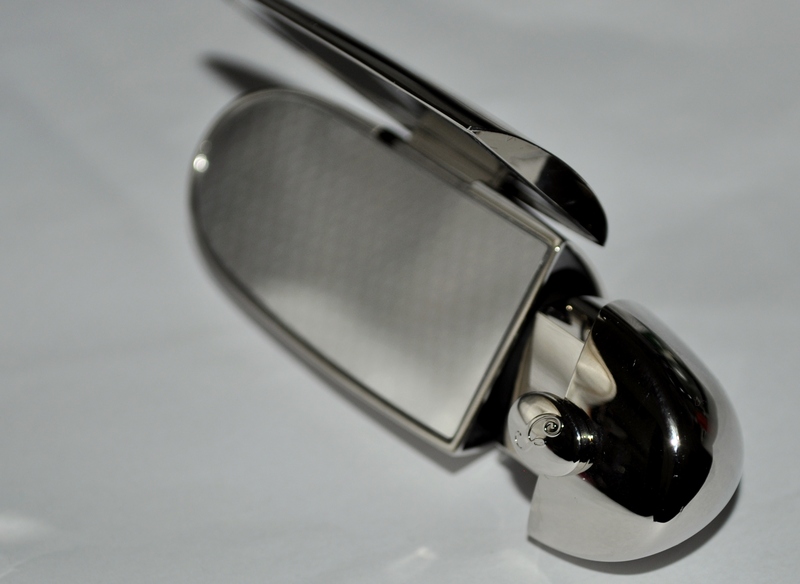 Every single one that I’ve purchased is clearly high quality and applies so well. 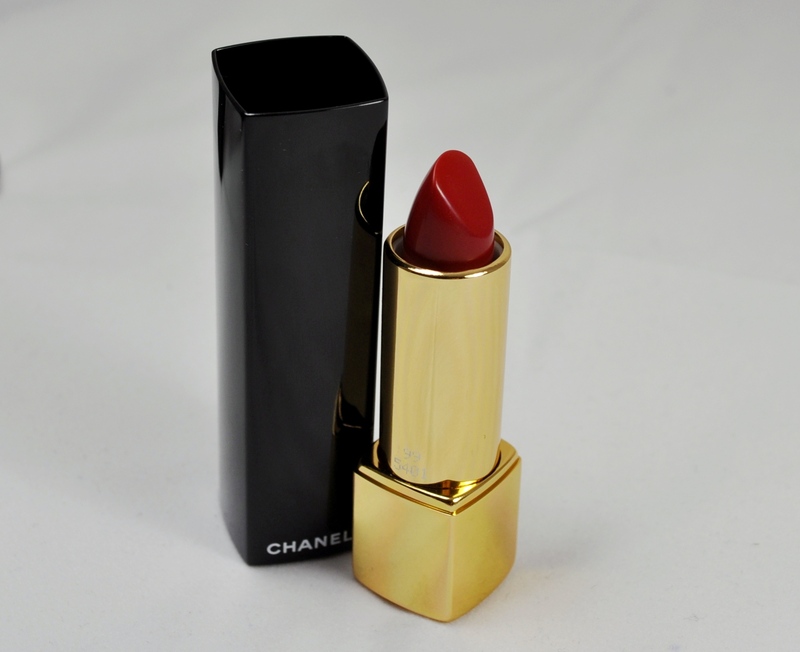 If there’s one thing Chanel does really well though it’s a red lipstick and Gabrielle is no exception. 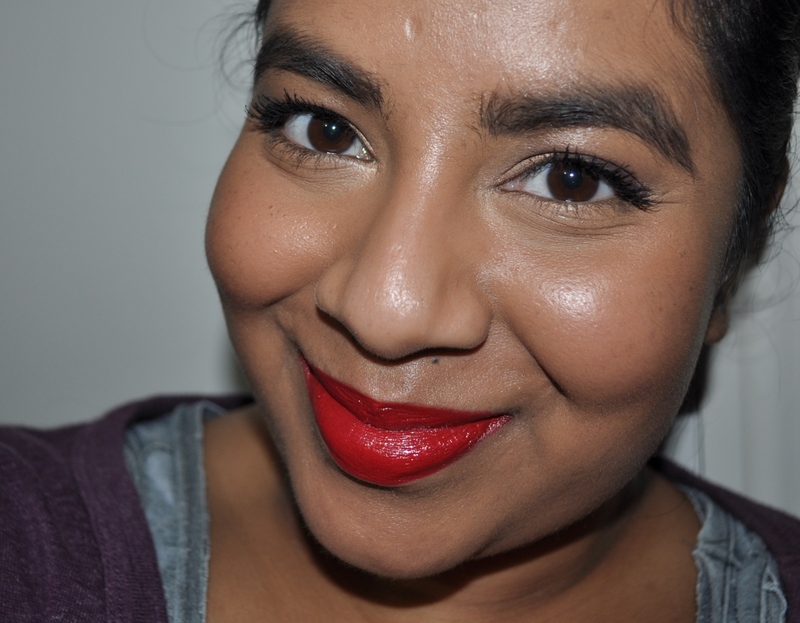 Gabrielle is the first lipstick I’ve purchased from the Rouge Coco line and I’m impressed. 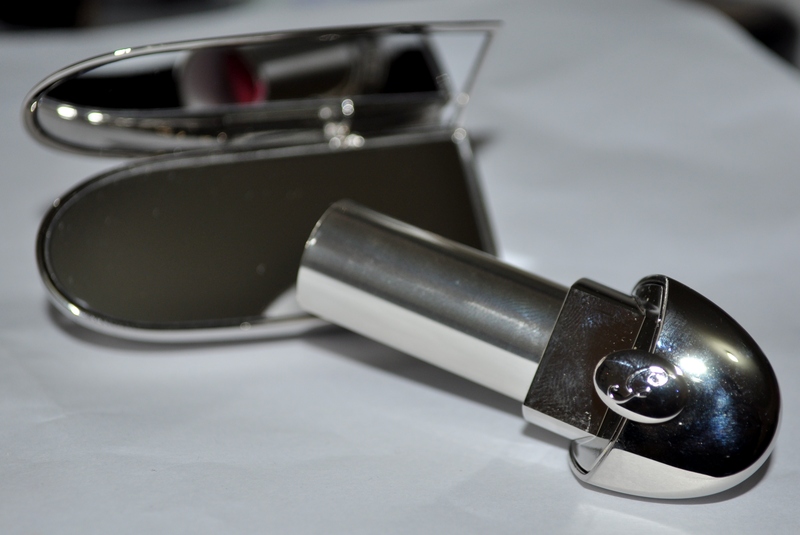 The only disappointing thing is that it doesn’t come in the ‘click click’ packaging I adore from the Rouge Allure range. It still looks chic and very Chanel so it’s a small disappointment. 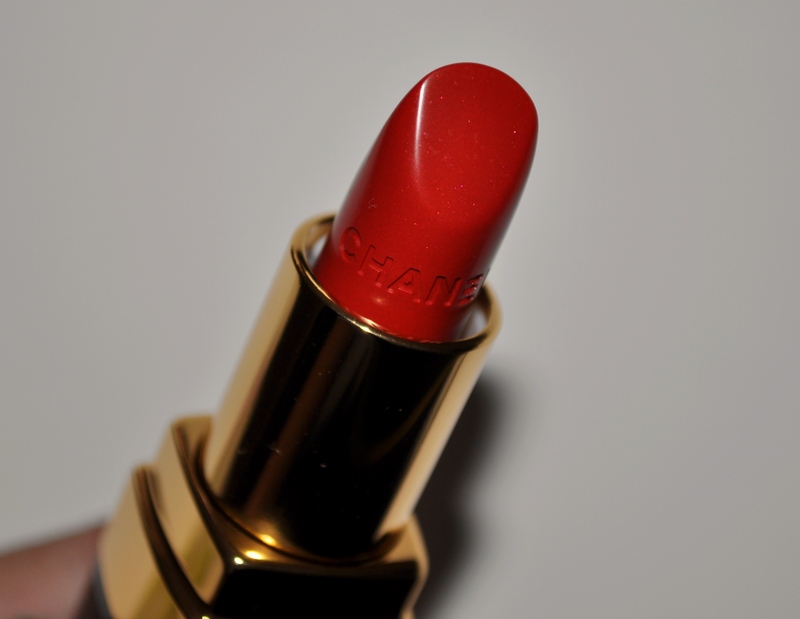 I purchased Gabrielle after going through a crazy swatch frenzy in the David Jones makeup department trying to find anything that came close to Chanel Rouge Allure Laque in Dragon. 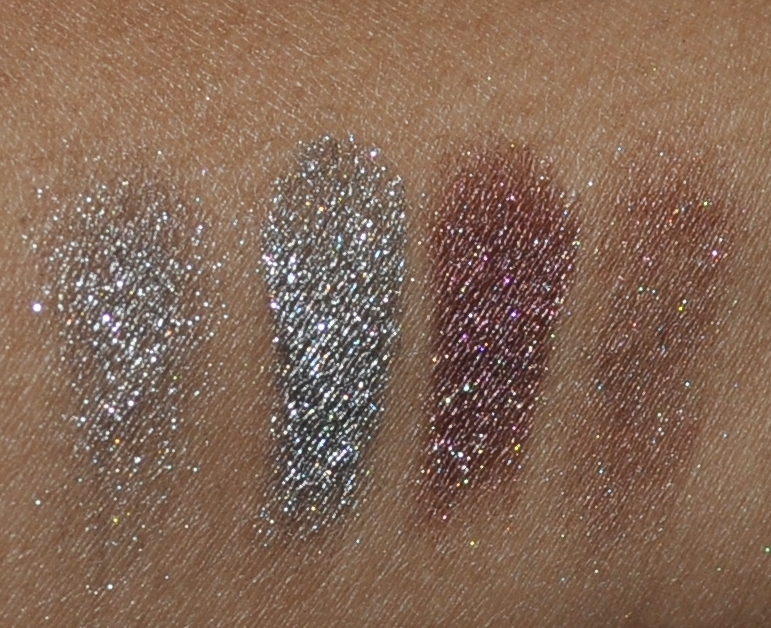 It didn’t end up being a dupe but it was so pretty that I bought it anyway. 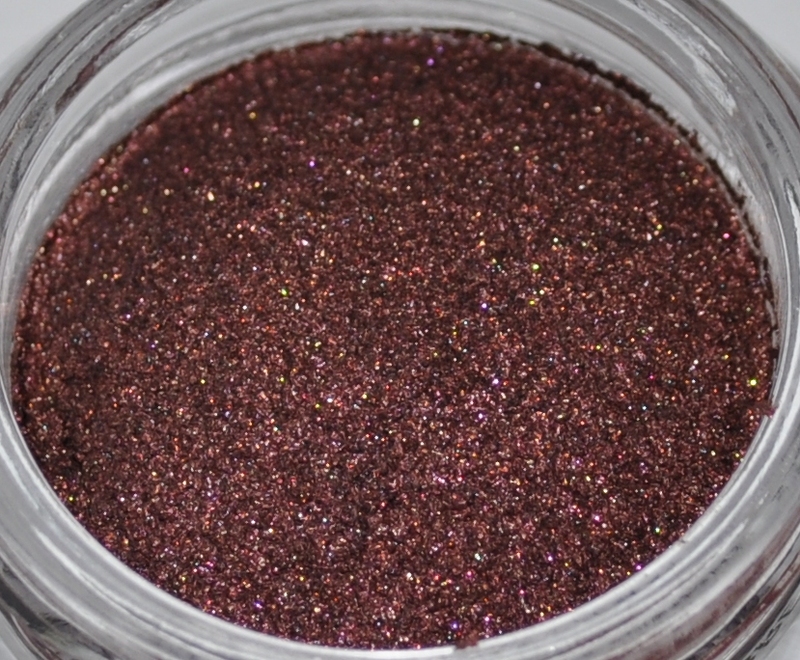 It’s a really pretty warm red which tiny shimmer particles through it and lifts my complexion whenever I wear it. 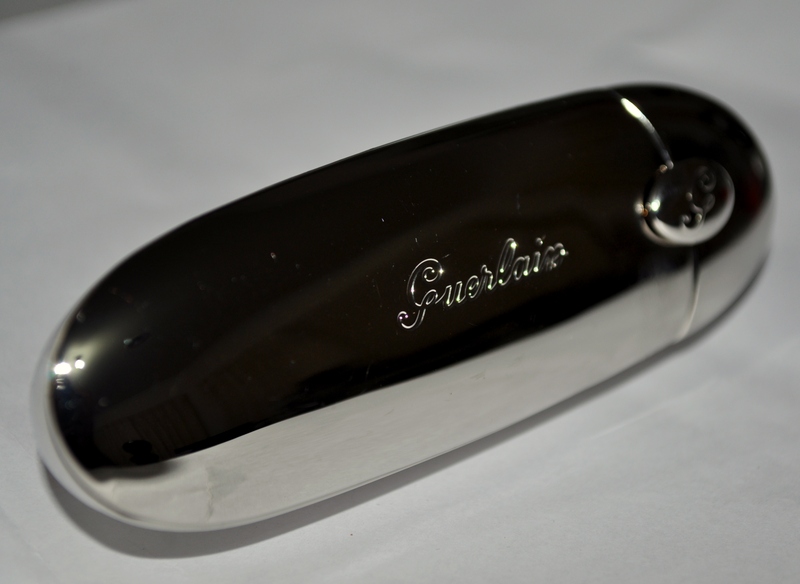 The product applies really smoothly and is very comfortable on the lips. 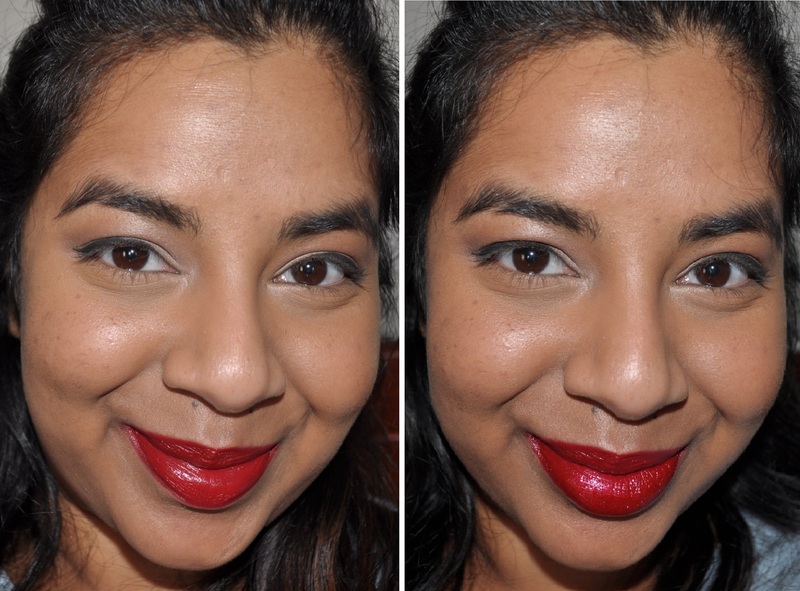 I can get a few hours wear without having to re-touch but I always wear my lipsticks over a lip liner. Ignore the foundation, I took these pictures at the end of the day when everything was starting to wear off and go patchy! 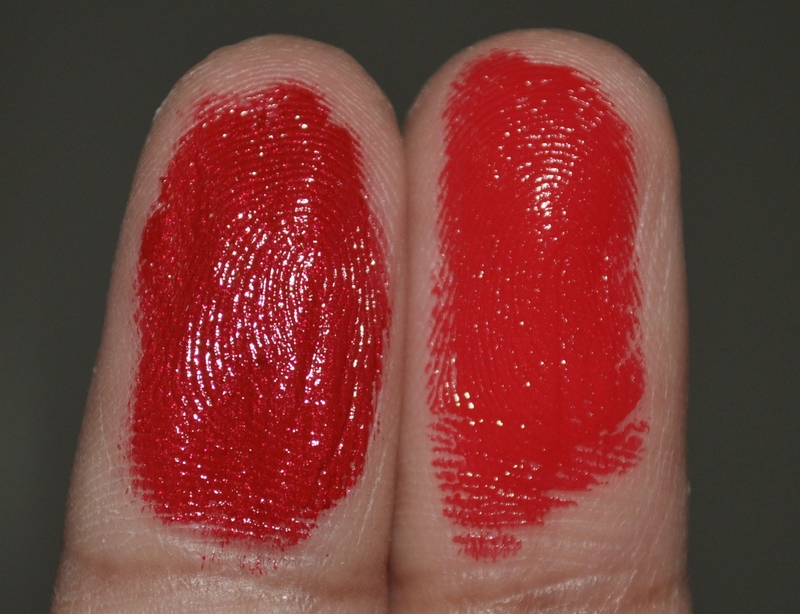 I did some comparison swatches against some of my high end reds so that you can get an idea of where it sits in the spectrum. 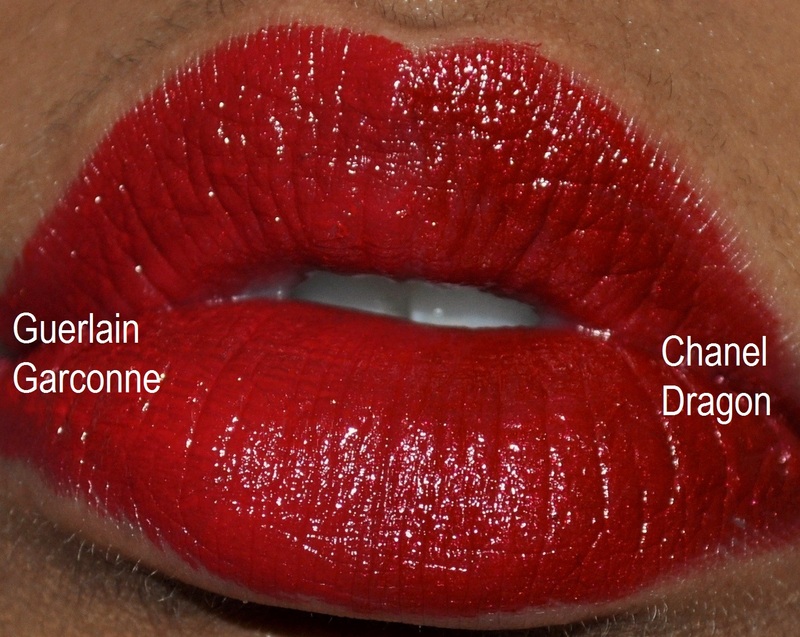 It’s not as deep as Chanel Dragon and is missing the ruby shimmer. 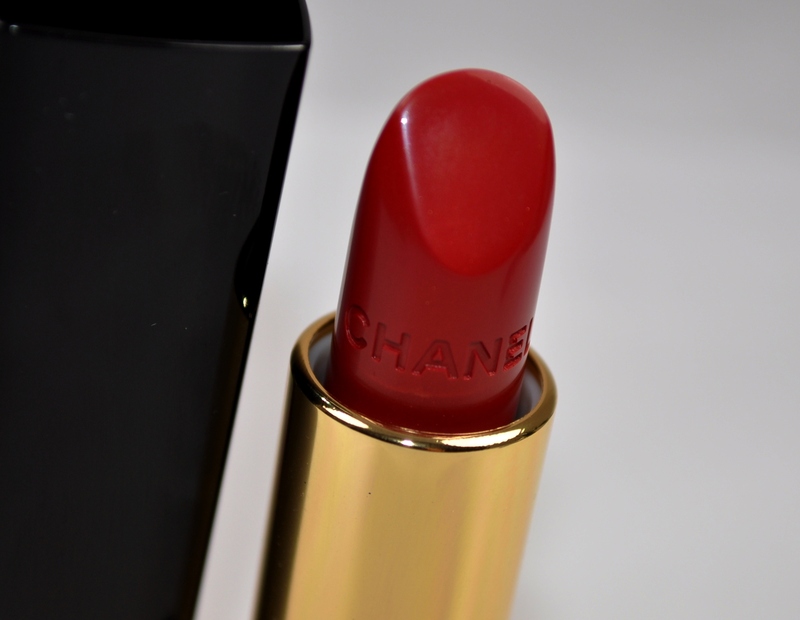 To my eye, it’s most similar to Guerlain Garconne or Dolce and Gabbana Attractive Monica and could be a glossier, deeper version of MAC Ruby Woo. Without flash. 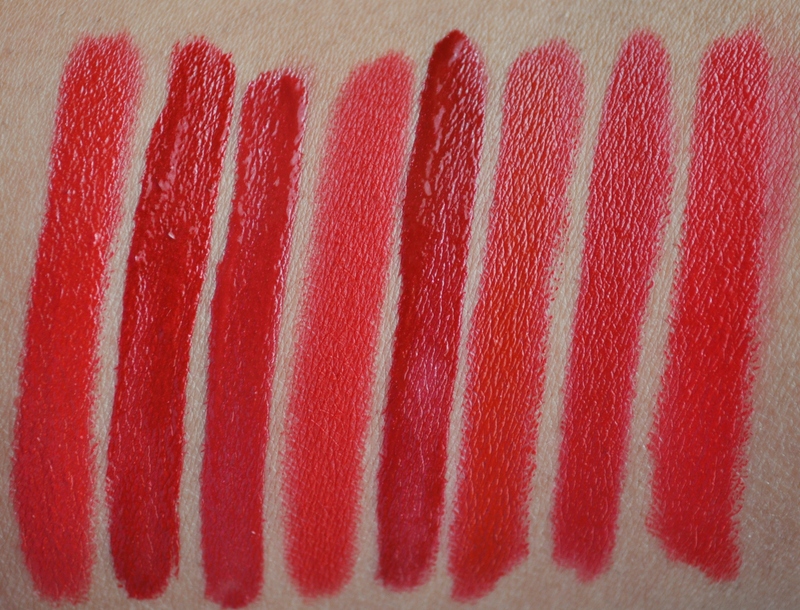 From left to right: Chanel Rouge Coco in Gabrielle, Chanel Rouge Allure Laque in Dragon, Shiseido Lacquer Rouge in Drama #RD501, MAC Ruby Woo, Shiseido Lacquer Rouge in Nocturne #RD607, Dolce and Gabbana Voluptuous Lipstick in Attractive Monica, Chanel Rouge Allure Luminous Intense Lipstick in Pirate, Guerlain Rouge G in Garconne. 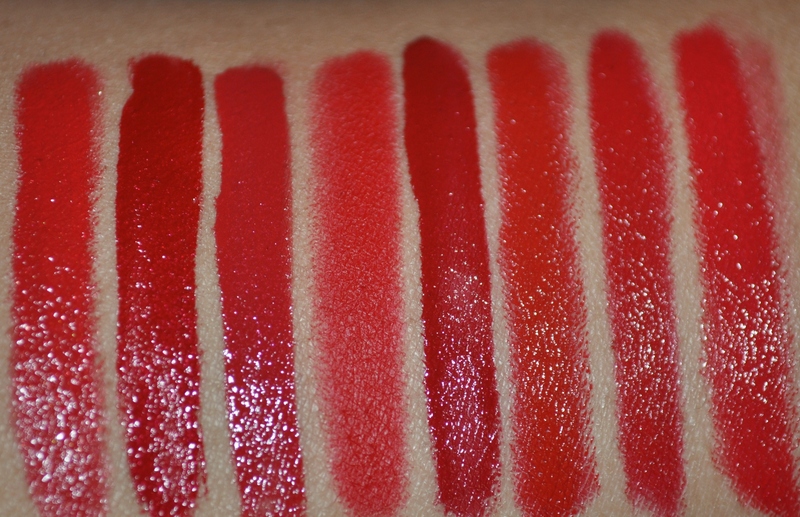 With flash- From left to right: Chanel Rouge Coco in Gabrielle, Chanel Rouge Allure Laque in Dragon, Shiseido Lacquer Rouge in Drama #RD501, MAC Ruby Woo, Shiseido Lacquer Rouge in Nocturne #RD607, Dolce and Gabbana Voluptuous Lipstick in Attractive Monica, Chanel Rouge Allure Luminous Intense Lipstick in Pirate, Guerlain Rouge G in Garconne. 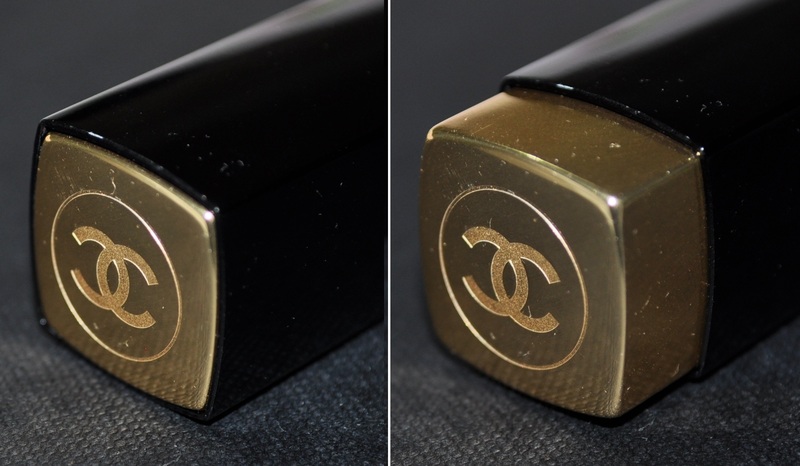 This lipstick doesn’t come cheap at $50AUD/$35USD but if you splurge on just one luxury lip product, Chanel is a great way to go. Just a quick post showing my lip of the day from yesterday. Autumn is well and truly here in Melbourne so I’ve been wearing a lot of my rich plums, burgundies and wine shades. 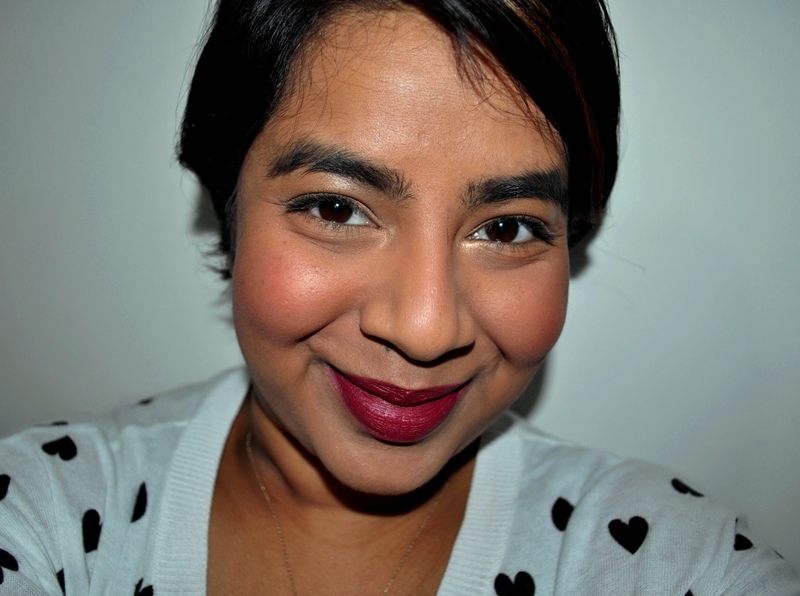 I also really love matte shades during this season so I’ve got Chanel Rouge Allure Velvet in La Sensuelle over NYX Plum lipliner. 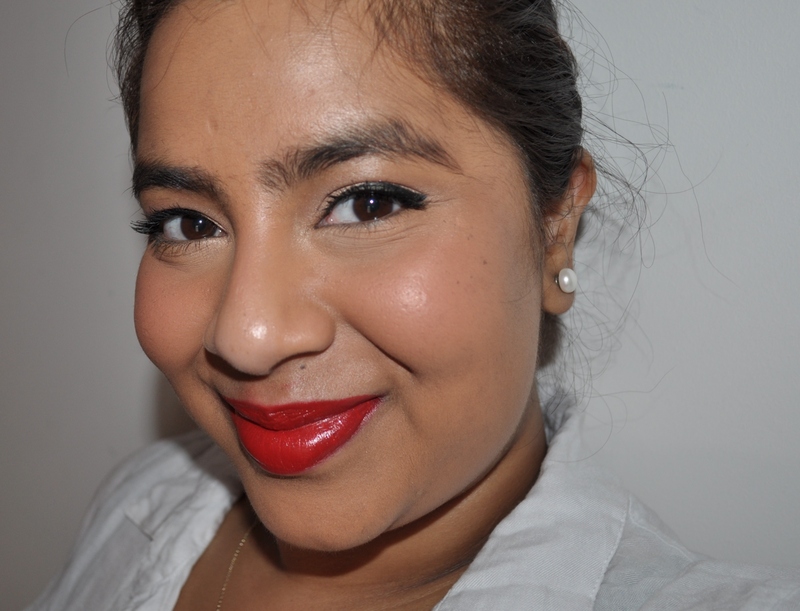 First day wearing out Chanel Rouge Coco in Gabrielle. My initial thoughts are that it feels great on the lips, is very pigmented and has a lovely subtle sheen through it which gives it a nice shine. Just really wish it had the same ‘click-click’ packaging as the Rouge Allures! 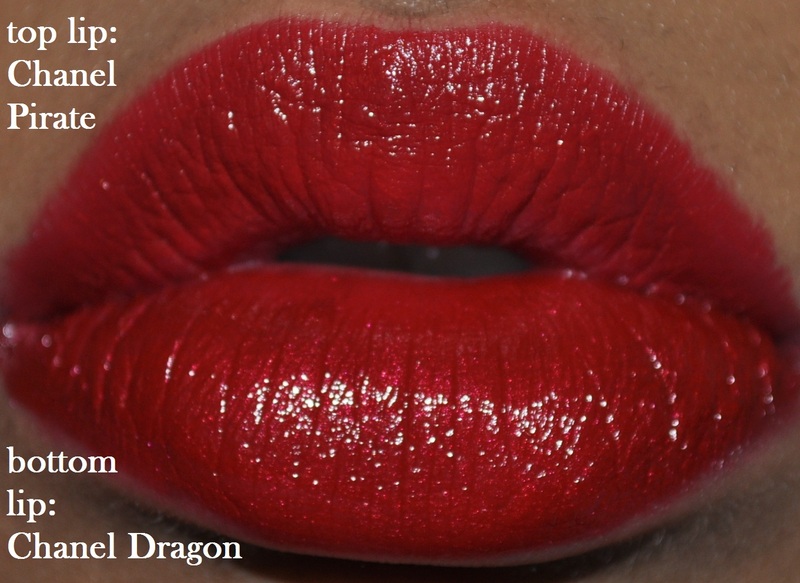 When Temptalia broke the news more than a year ago that my favourite red lipstick Chanel Dragon was being discontinued, I think I went into some type of denial because the news didn’t actually sink in. It wasn’t until literally a year later that it clicked that this shade was no longer available which caused me to go into a bit of a frenzy trying to track down some backups. Unfortunately this was all to no avail as all the counters I tried had run out of stock or returned what they had. What’s a beauty blogger to do? Look for a dupe of course! This started off a somewhat obsessive week of researching and analyzing online swatch after swatch to find something that might compare. 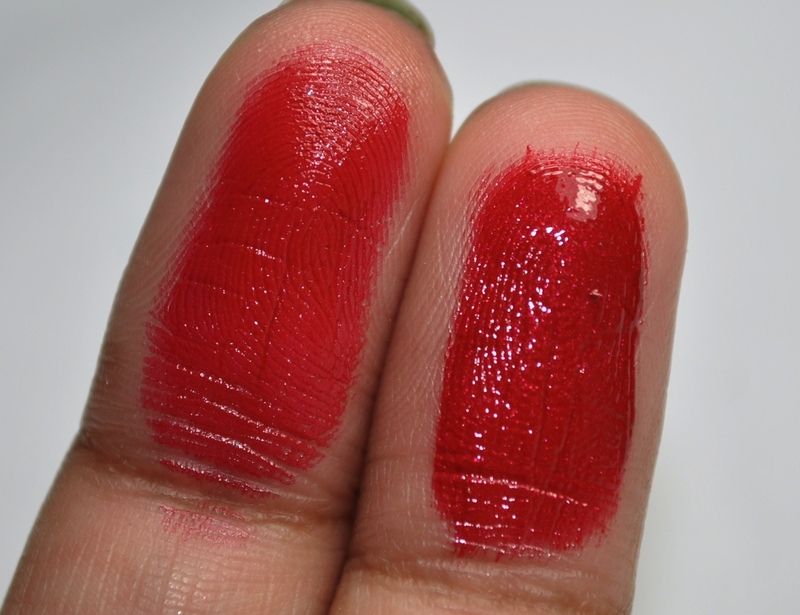 I have some contenders in mind but I decided to start with a shade from the newly released Rouge Allure Luminous Intense range ( a reformulated substitute to the original Rouge Allure range). I picked up the shade Pirate and, with a name like that, I really couldn’t resist. 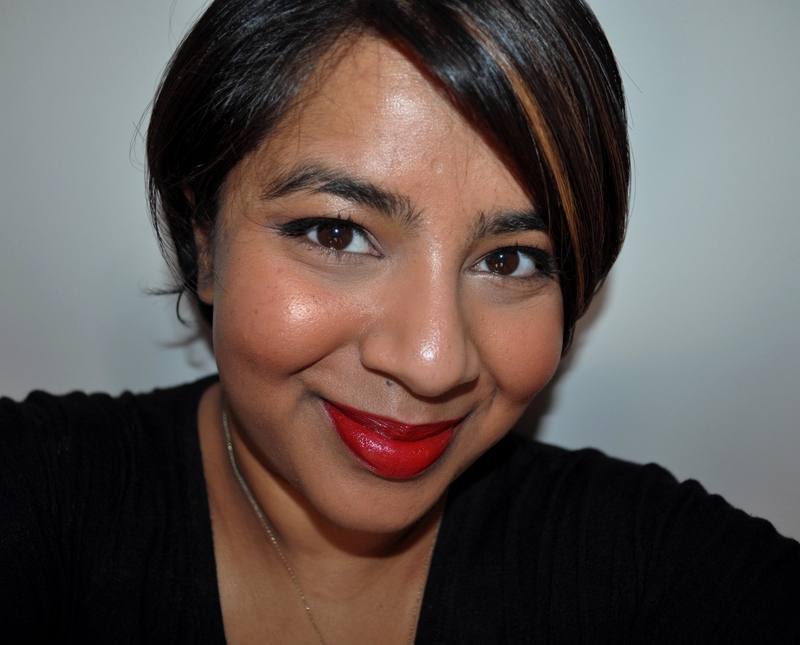 The shade is a gorgeous blue based red that works well with my skin tone and I can already tell that it’ll be spending a lot of time on my lips! The new Rouge Allures come in the same ‘click click’ packaging as the old (click the double c’s to open and again to shut) and no matter how many times I use it, it never gets old! I’ve tried all the various formulas of Rouge Allure’s (original, extrait de gloss, laque and velvet) and I’ve loved everything I’ve tried because Rouge Allure is synonymous with quality and excellence and the new Luminous Intense range doesn’t disappoint. 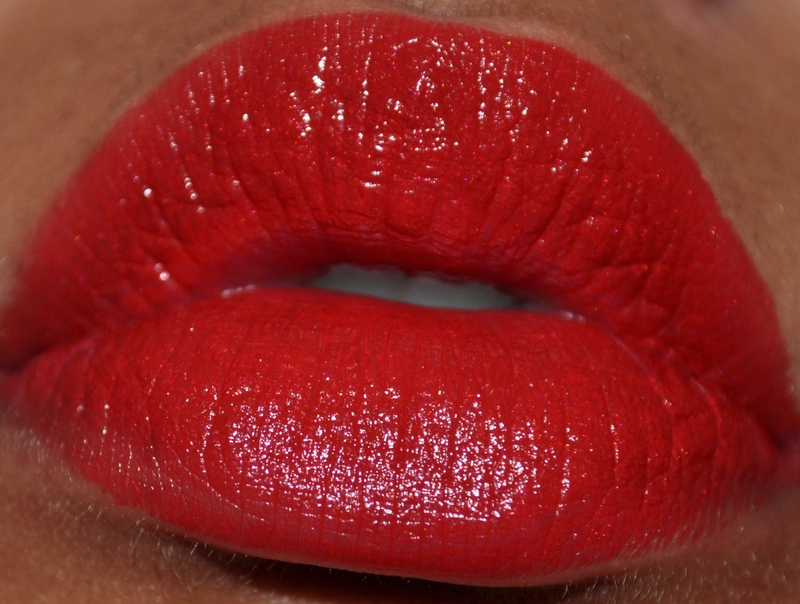 The texture of the lipstick is so light that I find myself forgetting that I’m wearing such an intense shade until I catch a glimpse in the mirror. The weightless feel on the lips has not resulted in a comprise in pigmentation with the shade reaching full opacity with very little effort. The finish on this is a lovely satin sheen and, while it’s not a drying formula, it doesn’t moisturise the lips. I find it very comfortable to wear and can get a good few hours without retouching if I’m not eating or drinking. I really like the brightening effect blue based reds like Pirate have on my warm toned complexion. 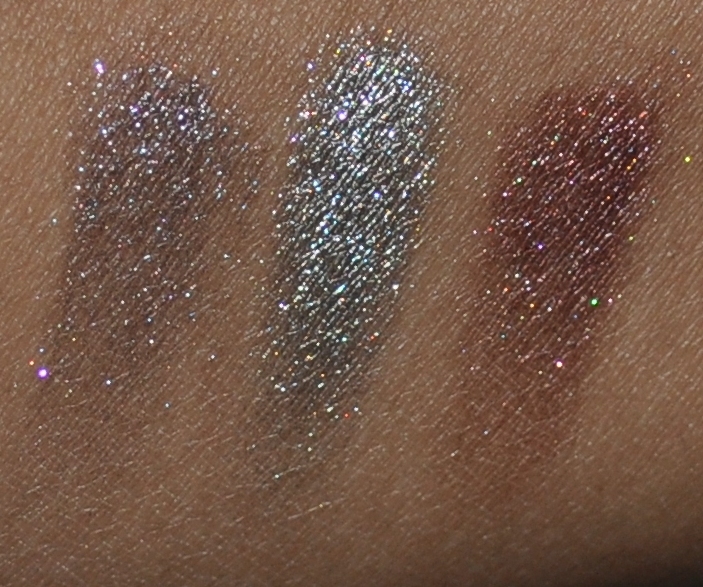 No matter how gorgeous Pirate is though, it just doesn’t compare to Dragon and you’ll be able to see why very easily by taking a look at the swatches below. 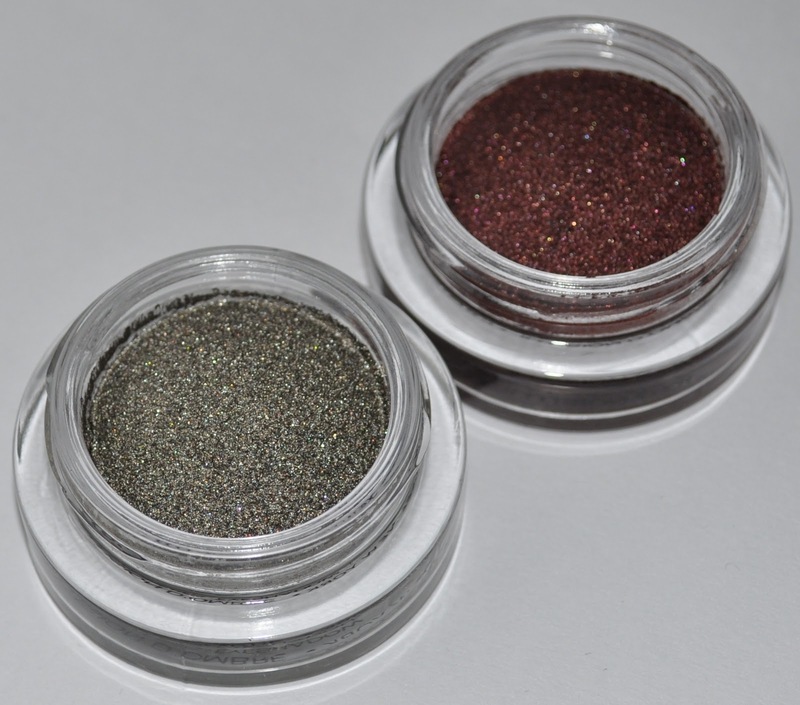 Pirate (on the left) just doesn’t have the same intensity and depth (not to mention the gorgeous micro shimmer) that makes Dragon the ultimate special occasion red. Don’t let that put you off Pirate though because it’s still one fantastic red and, unlike Dragon, it’s a red you can actually buy right now without having to pay ridiculous eBay prices! In the picture’s below I’m wearing Pirate on the left and Dragon on the right. I’m probably being too hard on poor Pirate since I feel like a solid lipstick just doesn’t have the capacity to achieve the result of the liquid Dragon no matter how hard it tries. 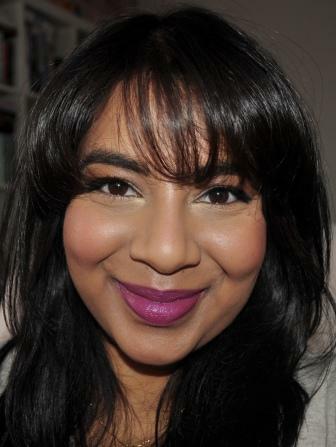 There’s an impressive array of reds in the Luminous Intense range so I might be able to find a better contended but for now the next shade on my Rouge Allure Luminous Intense hit list is the pretty pink Exaltee. 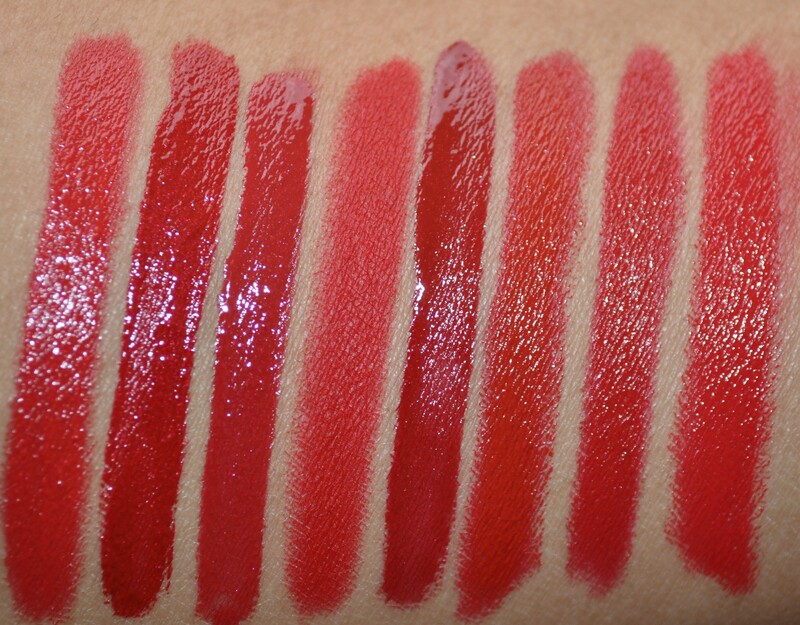 Every bright lipstick lover knows that a girl can never have too many amazing reds or bright pinks! What do you think of Pirate? Have you tried any shades from the Rouge Allure Luminous Intense range? 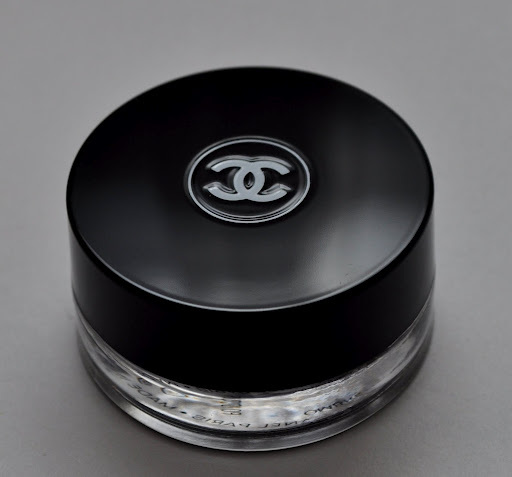 Also let me know if you have any dupes to Chanel Dragon! 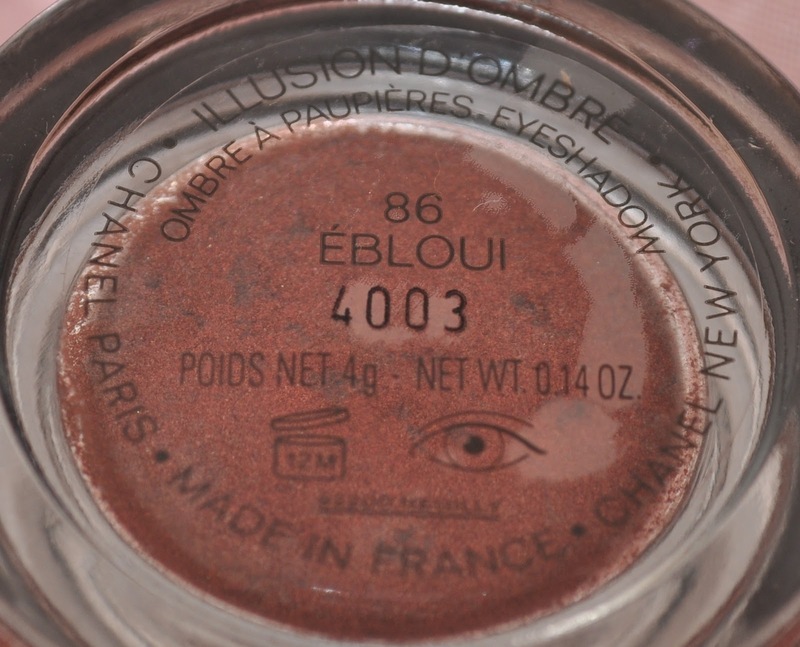 If you checked out my intital review on Chanel Illusion d’Ombre in llusoire, then you’ll know why I had to pick up the shades Epatant and Ebloui when I saw them come up for sale on Strawberrynet! 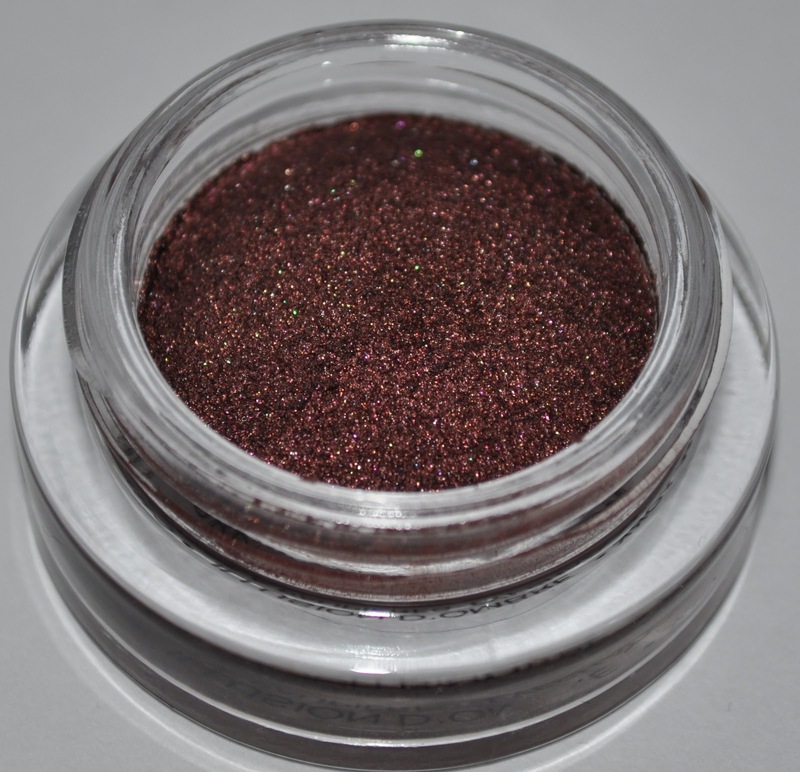 Ebloui (which apparently means dazzled) is a gorgeous burgundy shade that has more brown than red in it making it very wearable. 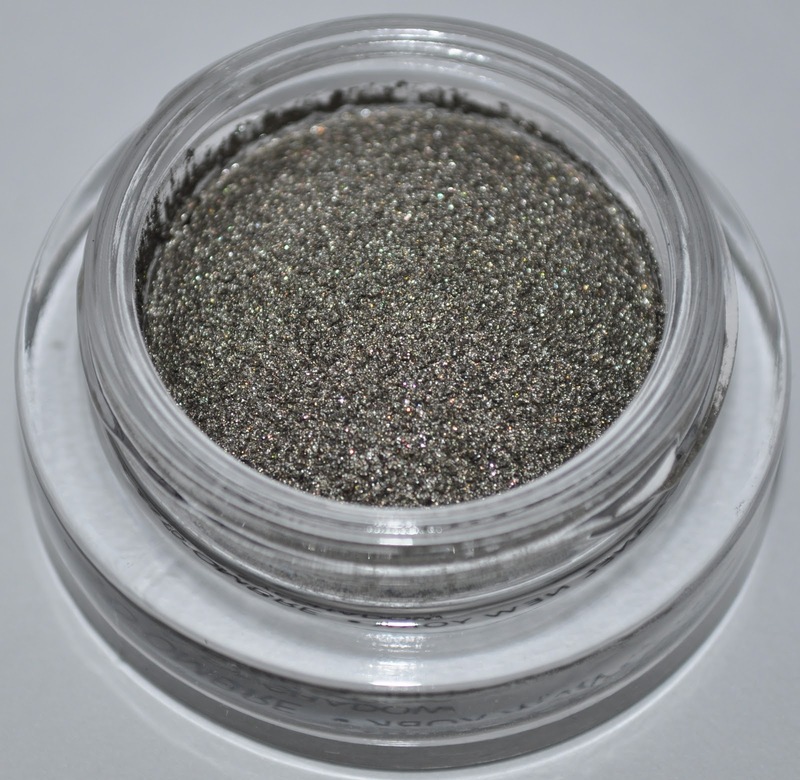 It contains the same gorgeous shimmer that Illusoire has and is a fantastic base under a variety of looks but also fantastic on its own. Epatant (which apparently means amazing) is a stunning silvery khaki colour. 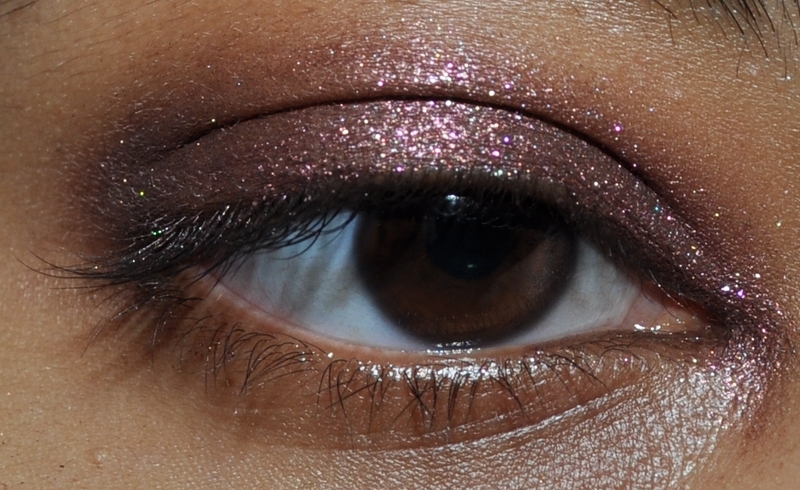 I’ve been pairing this under Lancome’s Erika F eyeshadow and the end result is lovely as the shades really compliment each other. 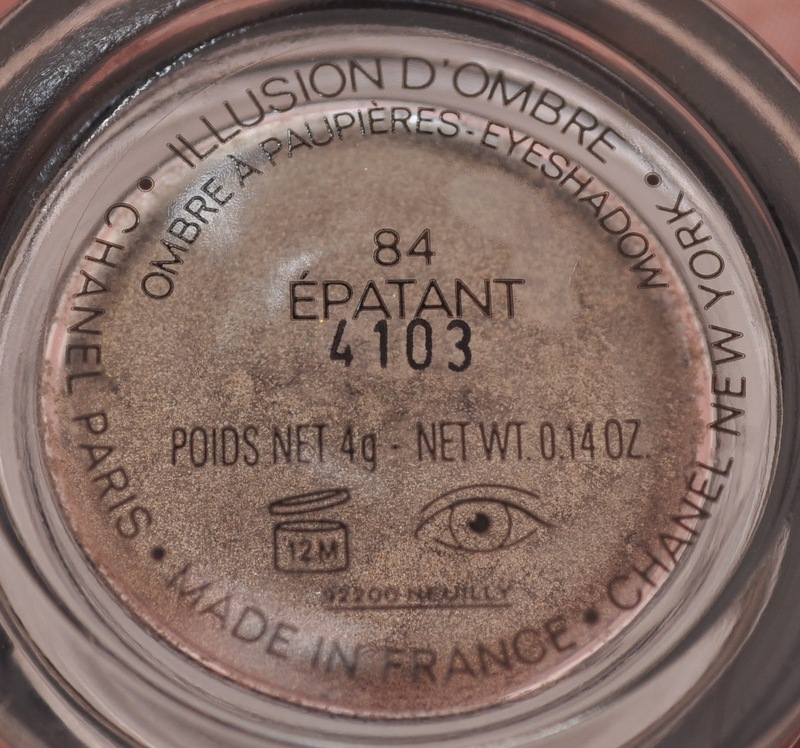 As with Illusoire, these shades can be worn lightly for a sheer wash of colour across the lids or applied more opaquely for a more intense look. 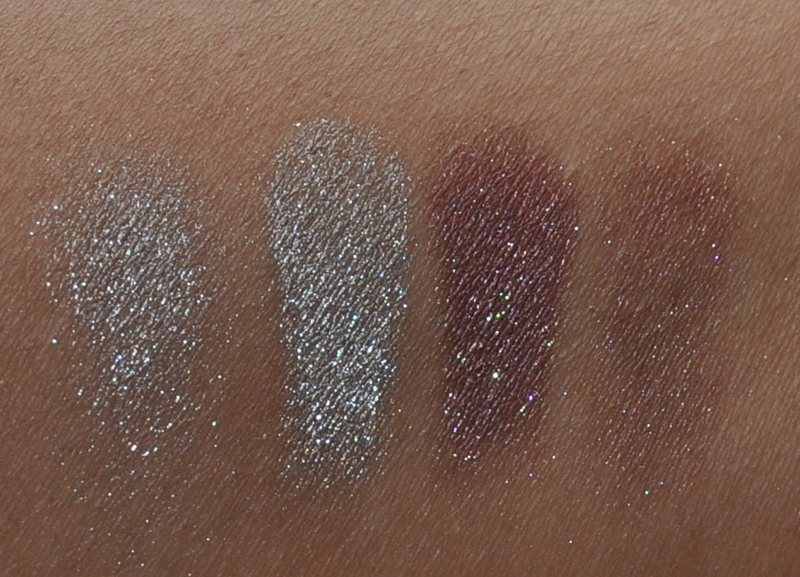 I love the depth of the Chanel Illusion d’Ombre and the way the shades look different depending on the light they’re under. 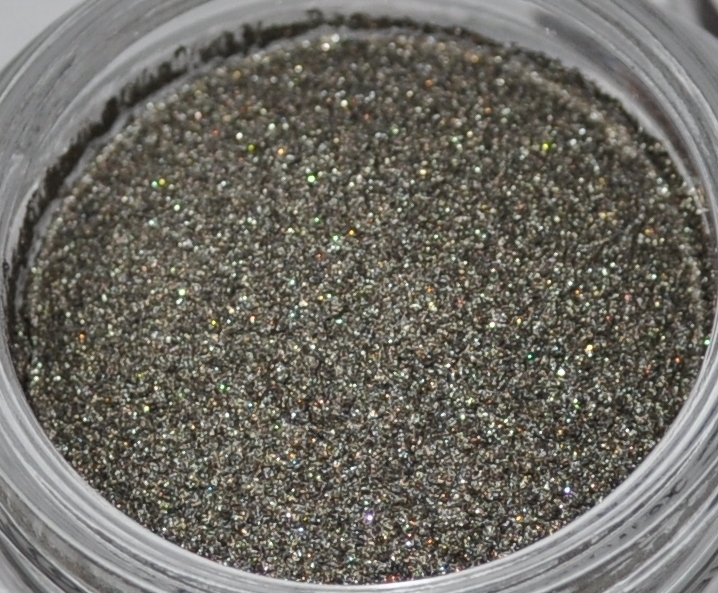 This has a lot to do with the multidimensional shimmer in the product which catches the light in different ways. 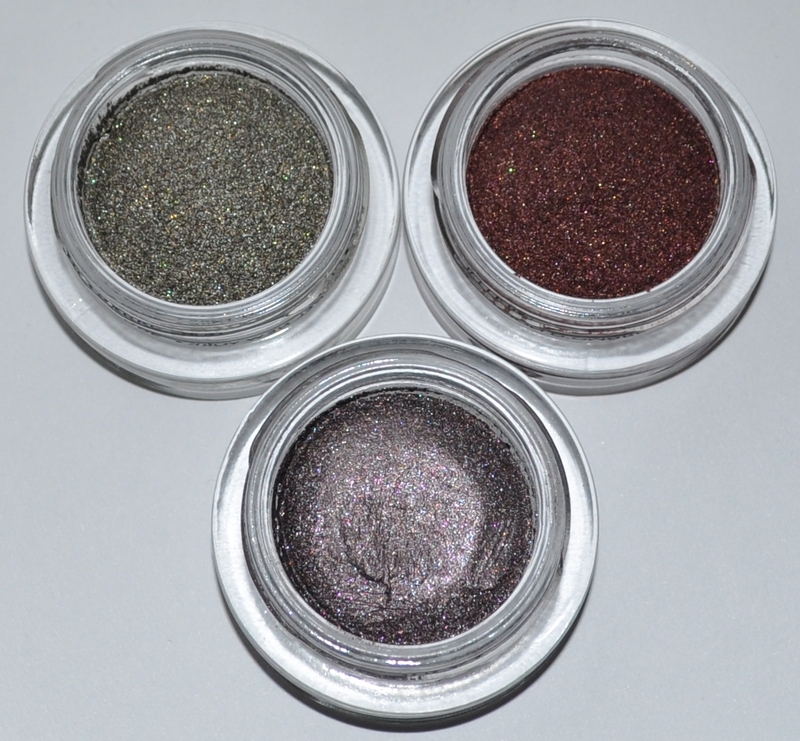 I love all 3 shades that I own but I have to admit that Epatant is the shade I’ve been reaching for the most. I don’t usually wear green that often but Chanel has put such a chic and wearable spin on all these colours that they’re easy to wear even for those who are colour shy. 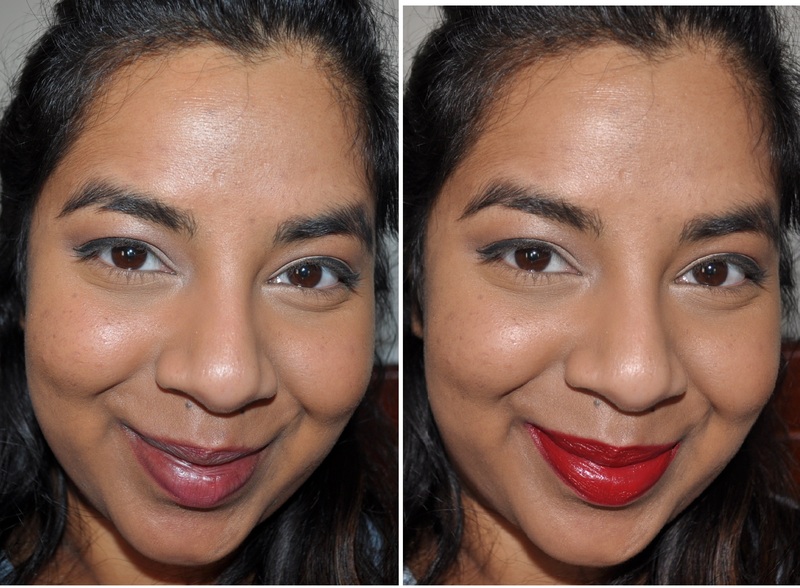 I picked these 2 shades up for $42 US on Strawberrynet (about $37 after the 10% discount) and I still think they’re worth the money if you’re looking to splurge. I was tossing up whether to get Mirifique as well since it’s the most beautiful black shade but I decided to show some self restraint and pass! 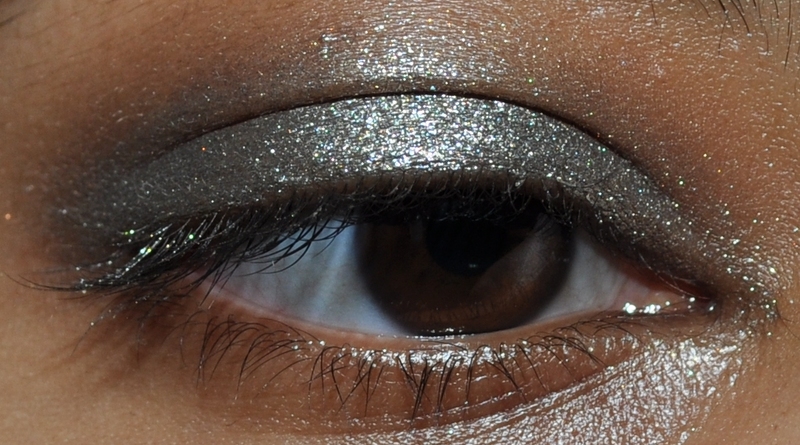 Next on my list: Giorgio Armani Eyes To Kill Intense eyeshadows.